Frank Dow Merrill was born on December 4, 1903. He enlisted in the Regular Army in 1922 and graduated from West Point in 1929. He obtained his B.S. degree in military engineering from Massachusetts Institute of Technology. In 1938, Merrill studied Japanese and Chinese while working as the assistant military attaché at the United States Embassy in Tokyo. By October 1941 he was promoted to major and assigned to Manila as General Douglas MacArthur's intelligence officer. When the Japanese bombed Pearl Harbor, Merrill was in Rangoon, Burma on a flying mission for MacArthur. He remained there to become General Joseph W. Stilwell's aid in the China-Burma-India Theater. In the Spring of 1942 Merrill was promoted to Lieutenant Colonel. In July he was awarded the Order of the Purple Heart for his meritorious actions in Burma between March and May 1942. In October 1943 Merrill prepared a long-range penetration group of about 3000 U.S. infantrymen, for a hazardous mission in Burma. After intensive training in jungle warfare, Merrill's Marauders became the first American infantrymen to fight on the Asiatic mainland. In March 1944, after a 100-mile march, they surprised the enemy by blocking the only Japanese supply line in the Hukawng Valley. 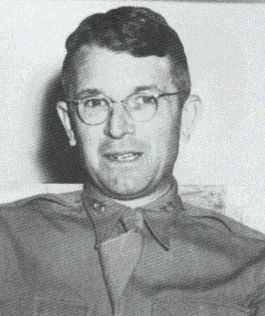 In September of 1944, Merrill was promoted to Major General. He died December 12, 1955 of a heart attack after attending a meeting of the American Association of State Highway Officials in New Orleans, where he had just been elected president of that organization.